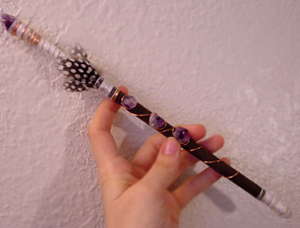 These wands were hand-crafted uniquely for their own specific purpouses. 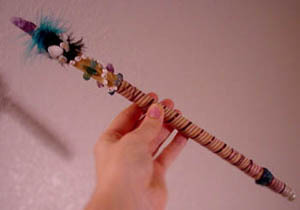 No wand is ever alike, but Lillith keeps to 5 basic designs. 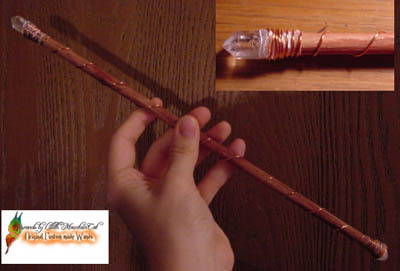 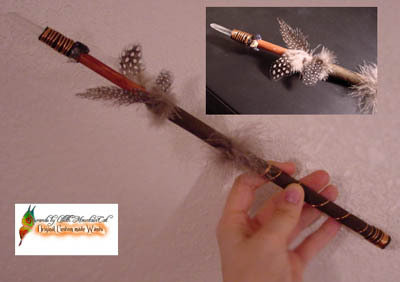 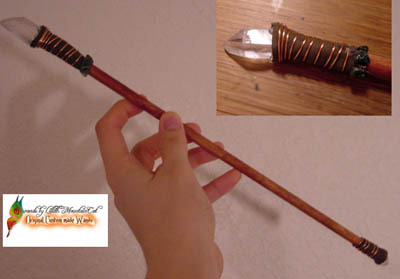 The natural design, the highly embellished design, the plain copper wire design, and the smaller wand design made for children (not shown yet) or for special travel. 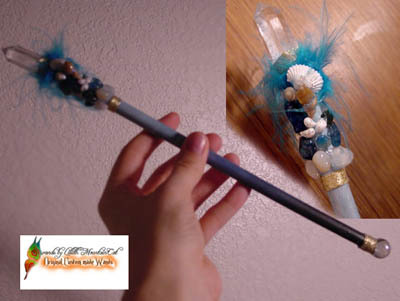 Prices are based on precious time and magick spent crafting and designing with embellishments, as well as expenses for harvesting materials needed. 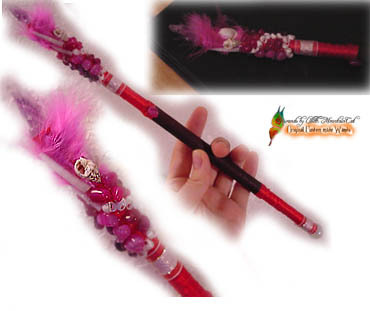 We focus on it's a purpous as a special primary tool that should be given much love and patience in it's crafting. 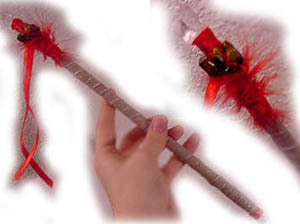 Lillith prepares the wand for connection with it's new partner in magick and ritual.